Meet Violet – normal-sized one minute and pocket-sized the next! 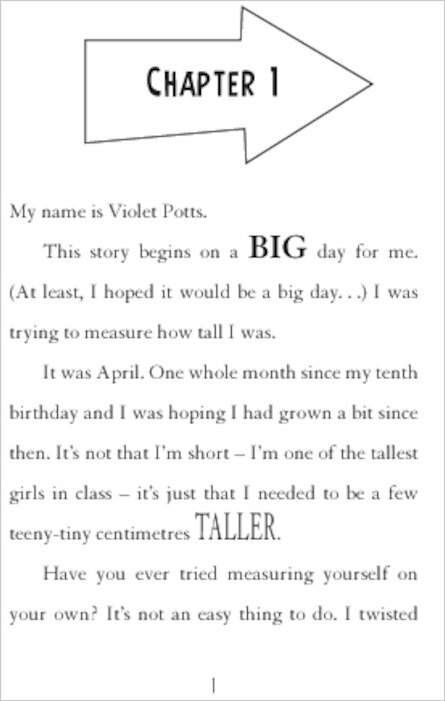 It’s the BIGGEST day in Violet’s life. 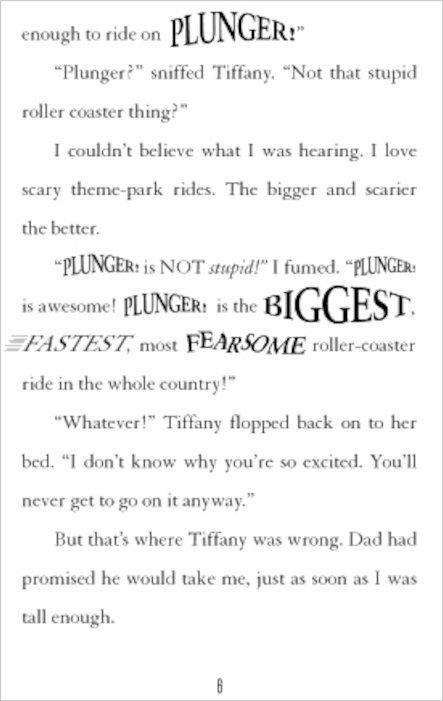 All she has ever wanted to do is ride Plunger, the scariest rollercoaster around. And today she is finally tall enough: 1.4 metres, to be exact. But just as Violet is about to climb into one of Plunger’s carriages, something crazy happens. She shrinks to the size of a fish finger! Her chances of riding Plunger are ruined. But then Granny is accused of stealing, and this teeny-tiny Violet might just be the only one who can catch the real thief… A super-funny story for any kid who loves fish fingers and adventures. Sometimes being tiny can be terrific! This book is so me like really if I were that small I would be annoyed two. I read this book at school and I loved it ALLOT! 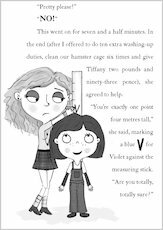 Violet has just about reached the right height to go on a ride but then she starts to shrink. 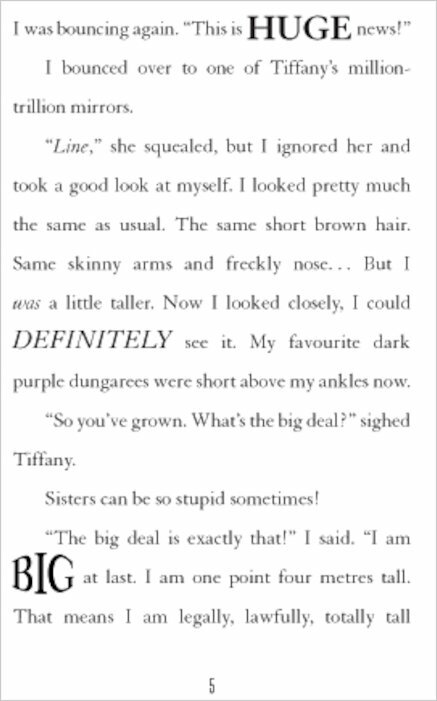 Read to see what will happen to violet! I liked this book because I loved all the adventurous things she did. When I read the back cover of the book it sounded really funny, exciting and surprising. I decided that this was the book that I wanted to spend my money on at the school book fair. As soon as I got home I started reading the book. Three days later I had finished it ! 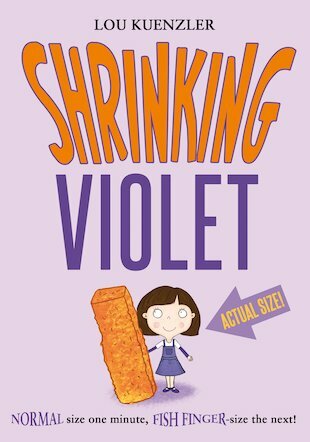 It isn’t just about Violet shrinking , there are lots of other dramas that happen. Lots of words were typed in different fonts to emphasise their meaning eg. BIG and whoosh! This made me want to read it even more.